Pure Aloe Vera gel extracted from the leaf of the Aloe Barbadensis plant. Drinking 50ml of Natural Aloe Vera Juice twice daily helps to enhance the quality of life by helping to optimise health. Natural Aloe Vera Juice is consumed either on its own or mixed with a fruit juice, if preferred. It can be taken as a general tonic or for a specific benefit. It is a unique vegetable extract, pressed from fresh, naturally grown Aloe Vera leaves. There is no added sugar or colouring and it is not reconstituted. It contains all the minerals, vitamins, trace elements and amino acids of the growing plant. This pure Gel has an impressive list of nutrients which include 20 of the 22 known amino acids including 7 of the 8 essential amino acids, most vitamins including A, B1, B2, B3, B6, C and E which are all necessary to help maintain and complement the body’s own repair, restorative and regenerative mechanisms. General tonic to help maintain a healthy body – due to its vitamin, mineral and amino acid content. Contains over 200 natural nutrients and is made from cold pressed inner leaf juice that is grown under organic conditions. Aloe Vera health tonics are preservative free and packaged in glass.1lt contains a 10 day supply. 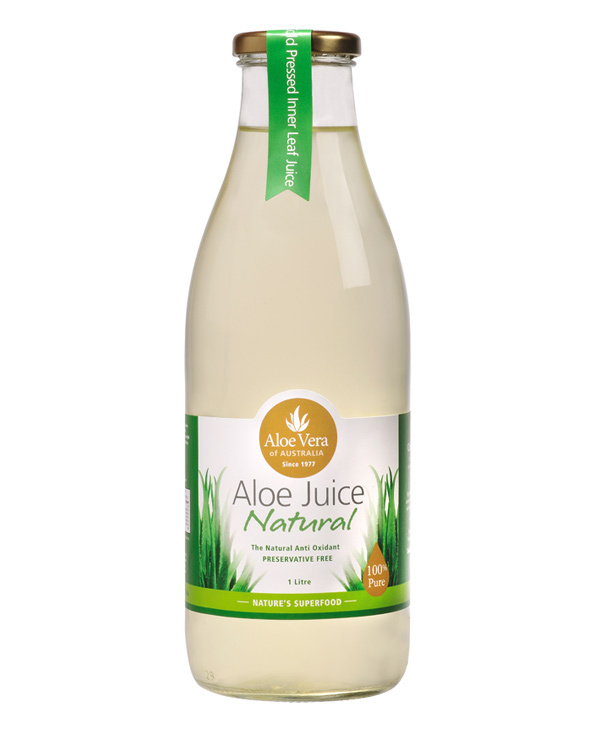 Aloe Natural Aloe Vera Juice has been known to enhance detoxification, act as a regulator of the intestinal tract, assist in general health as a food supplement, and is widely accepted as an aid to achieving and maintaining good health. Ingestion of the Juice can stimulate the digestion and other vital systems of the body. It encourages and assists with the absorption of vitamins and minerals. 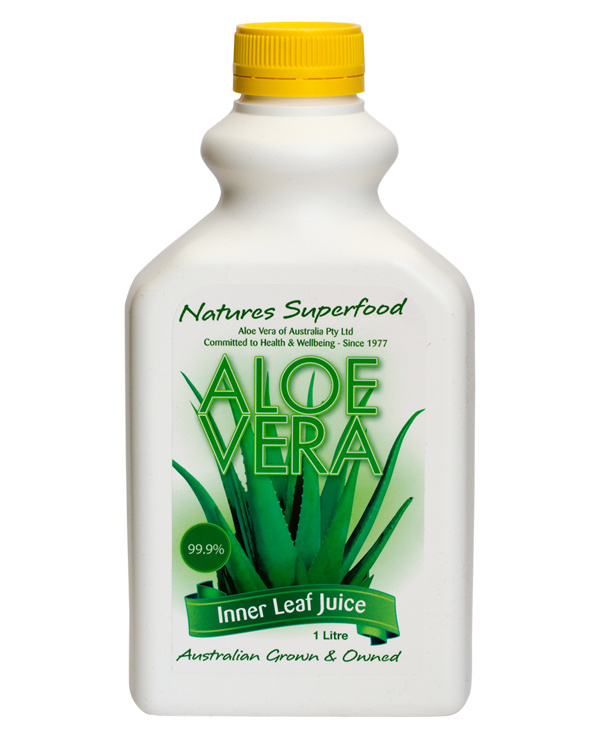 International reports indicate that Natural Aloe Vera Juice gives relief from varying symptoms. Aids in digestion and weight reduction has a mild purgative action, similar to the effect of increased fibre intake. Helps energise and build the body. Helps relieve gastro-intestinal disorders – assists the intestinal tract by softening built-up toxins and waste products. Probably the best aloe vera juice I’ve had to date. I have only been using this aloe vera juice for about 2 weeks. I had gastritis when I started taking it, I noticed a difference right away. I am so impressed with this product. I have also noticed that my energy levels have increased, it is amazing. I buy this product from my local health food store. I love it.